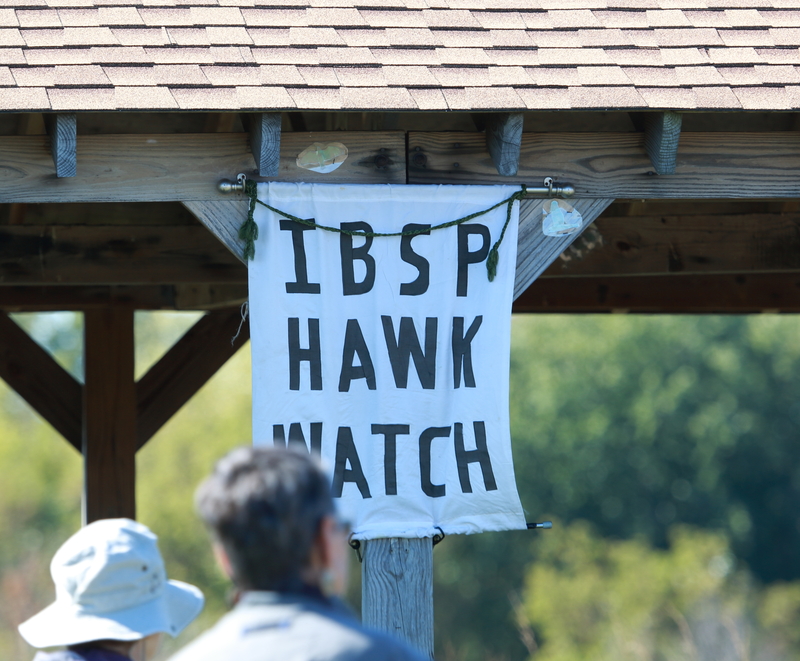 Two Sundays ago, I joined a field trip organized through the Evanston North Shore Bird Club to the hawk watch at Illinois Beach State Park (“IBSP”). I have known about the hawk watch for years but never managed to get there until now (it’s an hour-and-a-half drive, which usually discourages me). But it’s a treat to visit IBSP altogether. The expanse of fairly undisturbed habitat along the lakefront is restorative. 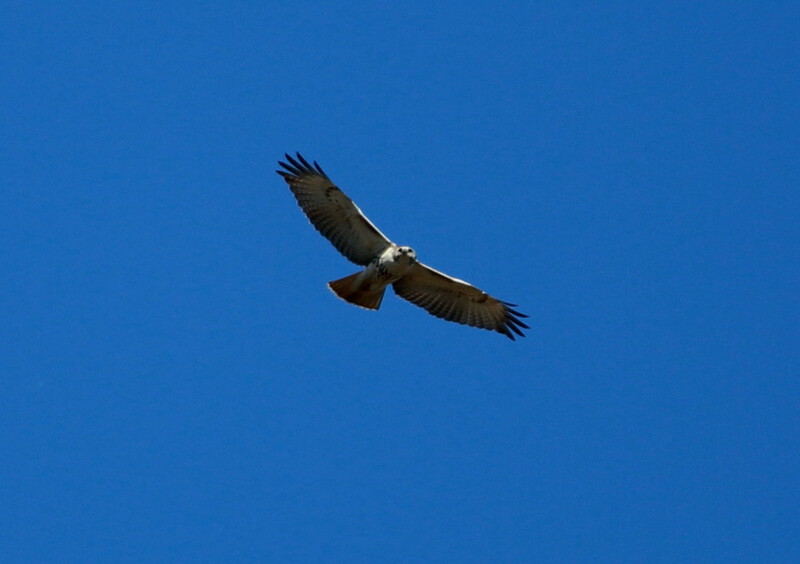 The hawk watch is a special, different kind of bird watching. Basically it’s sitting or standing around and waiting for raptors to fly over. 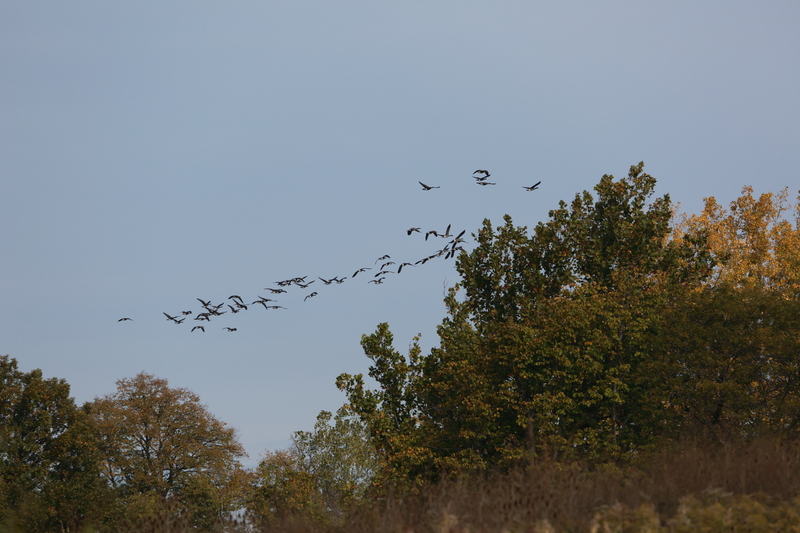 And when the raptors are too far away to identify by field marks, it’s great to have the counters available to help you identify them by shape and flight pattern. Luckily not all the birds were that far away. Then this past Sunday I birded much closer to home. My friend Lesa met me at Miller Meadow and we walked around there for a couple hours. 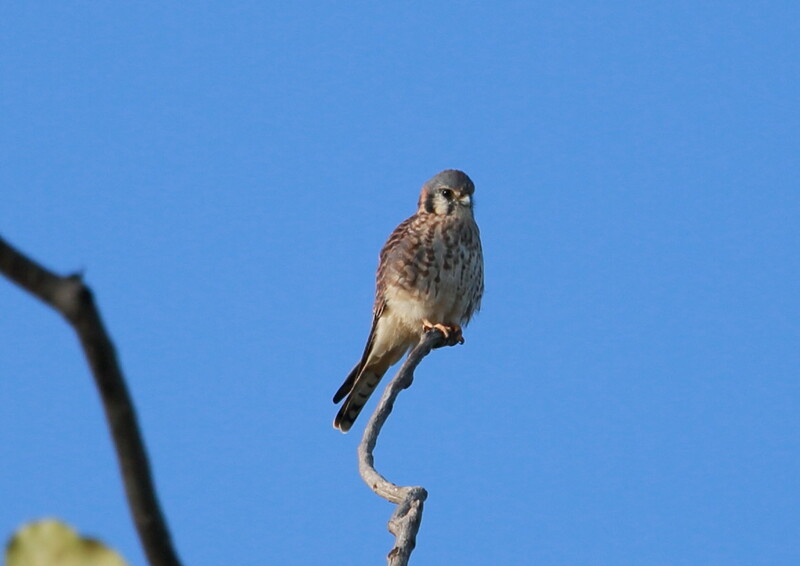 From the beginning, we kept running into this American Kestrel who was hunting the preserve. Eventually we were treated to our own miniature hawk watch. 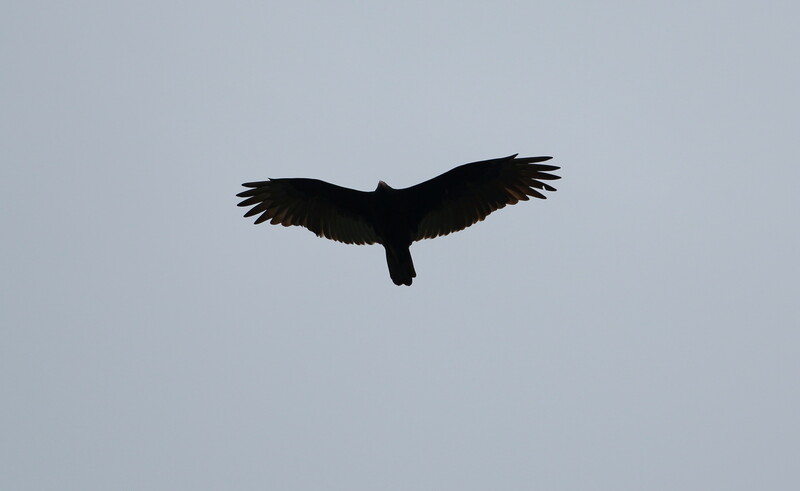 As we started to turn back, we counted a Cooper’s Hawk, four Red-Tailed Hawks, a Northern Harrier, a Golden Eagle and fifty-five Turkey Vultures. 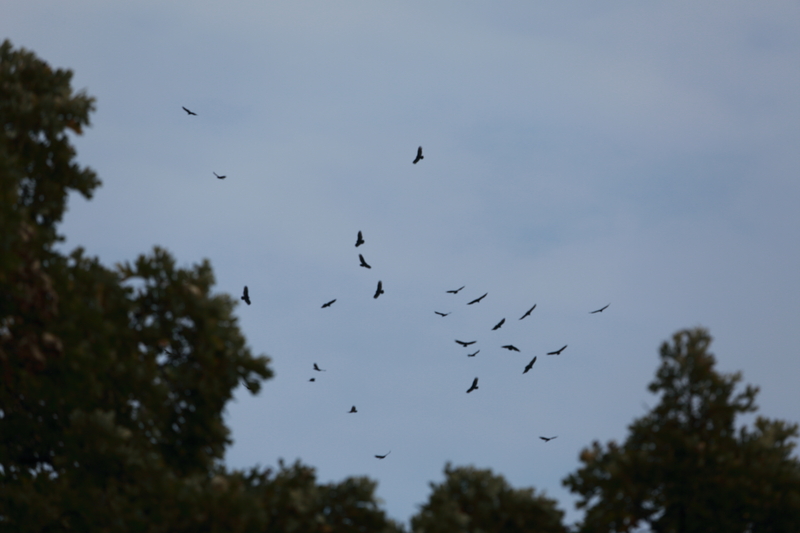 I did not manage to get pictures of all the birds that flew over but considering that most of the year you feel lucky to see one or two raptors on an outing, seeing so many fly overhead was quite exciting. 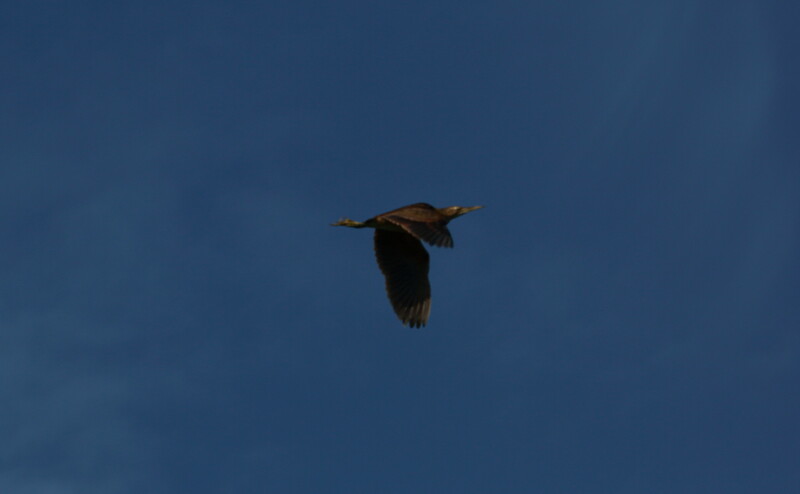 Earlier in the day, we also had a migrating juvenile Black-Crowned Night Heron… sometime before the 200 or so Canada Geese that had been feeding in the fields took to the air. Reports came last weekend from Coles County, Illinois–farm country about 3 hours south of Chicago–of sightings for two rare visitors: Snowy Owl and Prairie Falcon. 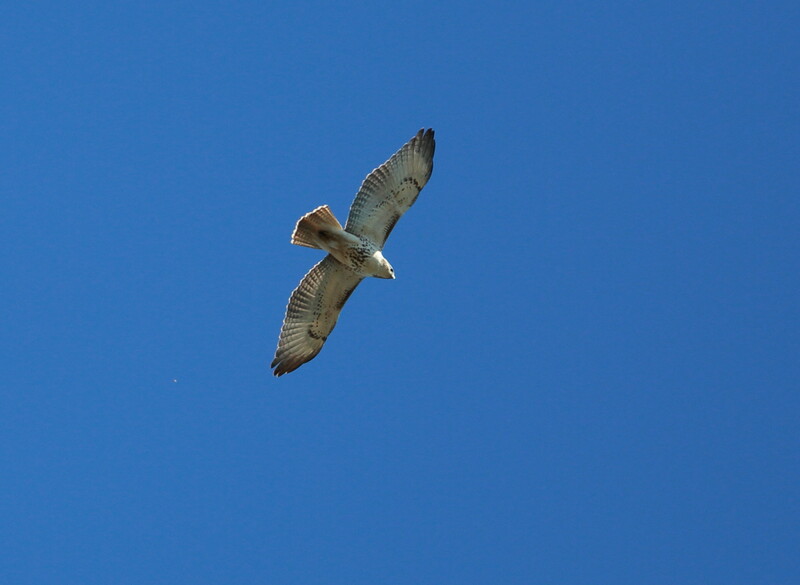 Even though Illinois is a “prairie” state, a Prairie Falcon sighting is a rarity. 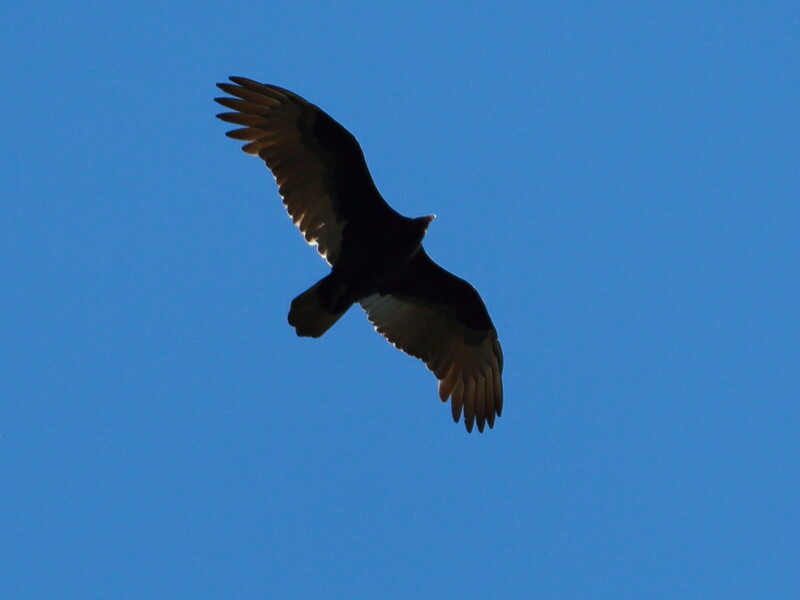 I saw one fly by in New Mexico last year but it’s a bird I would definitely like to see again. So I gladly joined three friends (as an aside, when we go out on expeditions together we call ourselves the 4 L’s or the Four Elles, all of our names beginning with “L”) for a day trip Sunday to comb the farm roads searching for these elusive creatures. Farm Road wih Horned Lark – can you find it? 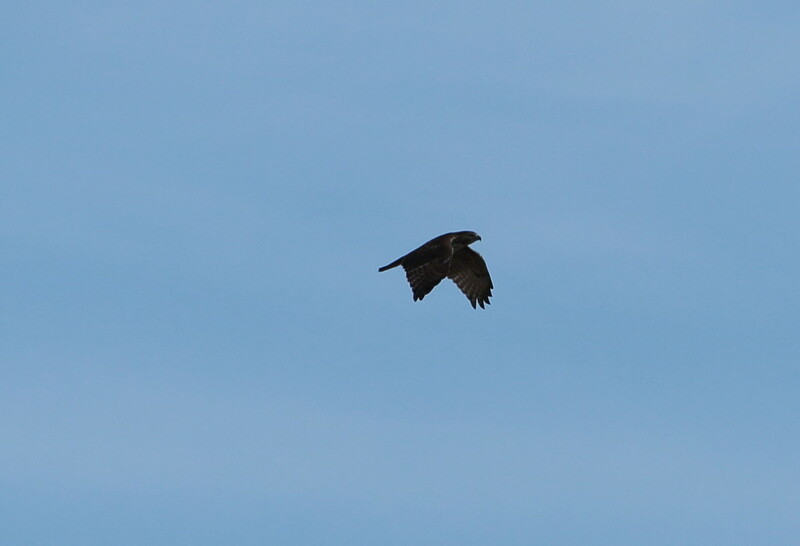 that just would not become a Prairie Falcon. It had a vole and was trying to eat its prey, but we couldn’t get close enough for decent photographs. I’m afraid he got tired of us watching him. 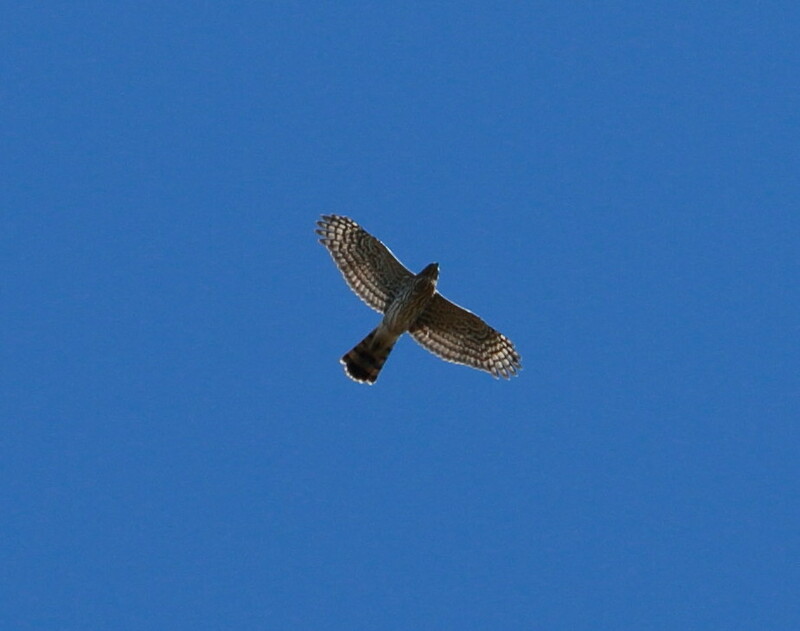 After several more Kestrels, which I was still thrilled to see as they have all but disappeared from the Chicago area, we did have another falcon… this solitary creature, which might have been a Merlin. The bird appeared to be a juvenile, whatever it was. No matter how much we tried to make it into the sought-after species, it sat quietly in the middle of the field, no doubt amused by all the people peering at it, by now, with scopes from both sides, knowing we were too far away to get really decent looks. Even though these pictures are hardly worth publishing, we Four Elles had a great time, over the course of the day getting great if brief looks at Rough-Legged Hawk and Northern Harriers, lots of American Tree Sparrows and Horned Larks, and it was our last chance for sunshine for quite a while. The days are getting longer, but it seems the winter weather is just beginning.